Manage your brand's social marketing activities. Keep a close eye on your brand detractors. Create a centralized intelligence for your brand. Maximize customer loyalty and satisfaction. 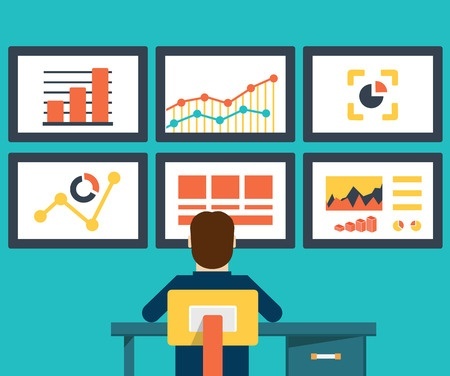 Social Media Analytics – Necessity or Luxury ? It is surprising how only a few companies are conducting competitive analysis based on social media data. Almost all processes today are cloud based and social media is becoming the hub of all communications. Keeping tab of what your competitors are doing and how they are faring on social media can help you strategize your social content better. Social Media Analytics is the ideal way to determine competitor strength, not just based on the responsiveness they receive on social media posts, but also based on the amount/types of complaints they are receiving. This gives an estimate of the total mentions your competitors are getting online. Most small companies choose to opt out of social media analysis, however the user graph has seen a growth over the past few years. The number still stands at a small 36% of businesses, who use social media analytics to determine more than just competitor performance. 1. Reach: Audience growth is the metric to be measured here with reference to the number of likes for Facebook and the increase in number of followers in Twitter. This however is not simply the count of number of followers but a complete analysis of growth over time. This includes percentage figures of when and why the growth or depression in audience has occurred. This metric can also be further refined by categorizing the growth of audience into various stages, for example number of new followers, number of followers gained during a particular campaign, number of followers lost due to better competitor performance and more. This growth rate helps you evaluate the performance of your various marketing/advertising endeavors, for future application. 2. Engagement: Facebook comes with their own metrics for post engagement and reach, however such metrics are still just the basics of measuring engagement. Social media Analytics on the other hand allows you to understand detailed metrics related to which content generated what amount of engagement, who are the people (age, gender, income group etc.) and differentiates them from the silent followers list. How does your business benefit from growing number of followers? The trick here is to measure whether your marketing efforts are actually reaching the destined people. The amount and kind of engagement received on various content pieces gives an idea of whether the buzz around your brand is genuine or not. Analyzing the engagement rate against the total number of followers allows a brand to identify potential customer/prospects with ease. 3. Acquisition: The two main metrics to be considered here are returning visitors and referral points. Understanding whether the audience your campaign/channel is receiving are new visitors or returning ones is important. This helps in understanding the likeability of your brand and also the popularity your brand is generating over time. Another important aspect to measure is whether the audience is routed to your channel via social media references or any other means. This metric can be easily acquired using a social media analytics tool or Google Analytics. CTR (click through rate) is also an important metric which helps understand where your audience is coming from. A detailed study about the various types of conversations your marketing tactics generate and how effective your social networking profile is proving to be can help depict accurate growth. 4. Conversion: Striking a balance between increasing the number of visitors to your website and the number of sales you make is extremely important. This also requires well defined paths to reach those goals, for example a target driven campaign can help you increase your sale during a particular season. This increases the need to keep a tab on how many people visited your site and how many actual conversions have happened. This coupled with audience behavior around returning customers and tracking the buying phase through social referral pointers helps increase your sales accountability. 5. Activity: While most of the other metrics are customer centric, this one is more brand driven. Except from observing how your marketing approaches are performing on social media, if your customer service is taken online, the same can help you understand how your brand is perceived against your competition. An easy analytics study about the amount of positive conversations around your brand VS the negative conversations can give you live feed about your brand’s performance. Along with brand performance, this also helps reduce your expenditure. From a whole command center set up specifically for customer service, if the amount of queries to be taken offline can be reduced to minimum, it can cut a lot of cost. This leads to a lot of savings for your business. Apart from these there are a number of metrics that needs to be kept in mind for a detailed social media analysis to be possible. As social media continues to grow and the dependency on both qualitative and quantitative data for strategical planning increases, analyzing social data has become extremely important. 1. Total mentions received by your brand between a given period of time, across social media platforms. This also includes data related to which platform incurred how many mentions, helping determine which social channel is working in favor of your brand and which isn’t. It also gives a day wise calculation of when your brand is spoken about most. 2. Total number of impressions along with the number of conversations around a particular post/piece of content can also be calculated. To add more value to the measure, analytics can also determine the number of unique authors and sources talking about your brand. 3. An analytics report also helps understand the high and low points around the content you share on social media, based on which future content strategy can be designed. 4. The places where the maximum amount of conversation around your brand/campaign is coming can also be determined using special social media analytics tactics. 5. Amazingly, analytics can also find the influencers who are talking about your brand, which can be used strategically to endorse your brand in the future. 6. It can also help determine the device used to talk about your brand, such as a computer, a mobile phone, tablet etc. Depending on the device used by maximum people, targeted campaigns can be hosted for future endeavors. What Measures Should Airline Companies be Taking After Indigo Dispute? Rimjhim is a full time entertainer at Simplify360. She alters between arranging fun parties to writing serious blogs. Although her designation is "Social Media Manager", she likes to call herself a "systematically confused being"! Her moto in life is "keep posting". Simplify360 is one of the leading social customer service platforms. We provide integrated social enterprise solutions for large enterprises from across the industry verticals like Telecom, Retail, Media, FMCG and Internet companies. The platform is also widely used by digital media agencies for social listening, reporting and engagement.